Today’s video is about Solutions this is useful for Developers and people who are studying for the CRM Customizations and Configuration exam. Solutions are one of the fundamental parts of CRM customization and CRM Development, they provide a way to manage and package your changes in CRM and importantly a way to move customizations between CRM instances. Some of the information below has been taken from the excellent Customization and Configuration in Microsoft Dynamics CRM 2013, although I have tried to remove any direct quotes. I would recommend you read the Microsoft Official Curriculum on Solutions. Solutions in Microsoft Dynamics CRM is a method to let you group and manage your custom components for a particular set of functionality or release but remember solutions are optional, you don’t need to have them and you can if you wish just edit the default solution. 3. it would take longer and longer to deploy them, manage and update them. Solution best practice is use it to split up business requirements probably either in Sprints/releases or in business requirements. It’s possible to export the Default Solution and import this solution into another CRM Instance but you cannot export Default solution from a CRM On Premise to a CRM On line or vice versa. A solution is a way to package a group of customization’s. There is no limit to the number of solutions and you can package them up and deliver a whole set of changes in one solution. Solutions provide ways to organize the deployment and development of customization’s. You can provide releases or new functionality. Before you can create a solution you must create a publisher. The prefix will then be added before the schema name for the entity or field e.g. This means if you have two different customizers changing the system with different publishers then they will create components with different prefixes. If you export your Solution as a Managed Solution, the publisher is especially important because after the solution is imported in the target system only solutions with the same publisher will be able to update those components. So either you can update the components with the same publisher with an unmanaged solution or you can delete the solutions. Your new Solution is a container for a set of components that work together to provide the functionality for which you are asked. To modify the components, you can create new components in your Solution, or add existing components from the system to your Solution. Even when you are working in your own Solution, any components you create or modify are changed in the Default Solution, because your Solution only contains references to these components, not copies of the components. This means that if you delete the Solution that you are customizing this removes the “wrapper” around the components – the components remain in the system. This means two customizers can modify components, these changes will automatically be changed in the default solution. In programming terms this is because solutions only contain references to the components not copies. Solutions can be seen as wrappers. When you export a solution, you can choose to export the solution as a managed or unmanaged type. I usually remember this by the fact managed solutions are read only when imported into the target system. What I mean by this is you cannot edit or change any of components. When you import a unmanaged solution all the changes are really changing the default solution, all your changes are copied to the default solution. Then if you delete the unmanaged solution later the changes will remain. small changes to a current set of functionality or solution then you can modify the solution and increment the version number. Removing a component from a solution will remove it from your solution but it is not deleted and will still exist in the Default Solution. You remove a component, you select the component whilst inside your solution and then press the Remove button. This will remove the component reference from your solution but not delete/remove it from the default solution. Don’t get Remove mixed up with Delete. Pressing the Delete button will delete the component. Important System entities cannot be deleted from the system (Case, Account etc), custom components can be deleted. if you try to delete a component which has dependencies then you will need to delete the components which depend on the component you are trying to delete. You may have to remove multiple dependencies. You can see the required components for a component by selecting the component and clicking show dependencies. This will show dependent components and required components. If you are missing a required component you will get the Missing Required Components Dialog When Adding Components to a Solution. This won’t stop you exporting the solution. What Can be Added to a Solution? The items above must be either created manually or imported. If you want to create manual data and use the same guids between systems then you will need to export and import the data so you can specify the guids used. All solutions are evaluated as layers to determine what your CRM application will actually do. The following diagram shows how managed and unmanaged solutions are evaluated and how changes in them will appear in your organization. When you import a managed solution it will publish the changes automatically but if you import an unmanaged solution then you will need to publish those changes. To move the customizations between systems you can export your solution from one CRM instance and import it into another CRM system. The solution is exported as a zip file. It’s good policy to keep backups of your exported customizations in case you need to roll back your customizations. Next Article Why are so many people using Rockstar 365 and what is it for? Some useful thoughts, but I think you should be careful not to use quite so much material from the Microsoft Official Courseware without a) saying that is where the content came from and b) perhaps checking with Microsoft Learning that they are happy for you to do so. I am happy that you though the content in the course was useful, since I wrote the chapter you are quoting several chunks of in your article, but I don’t think you should be passing it off as if it was your own original thought. It is good that you have attributed some of your other sources though. Very good point and I would say the solution chapter is excellent. I thought I had taken most of the direct quotes out from the post but clearly I had done a terrible job at that. I will certainly mention the MOC at the start of the blog post, it was there in an earlier draft but got removed. No worries, Ben. Just don’t want MS legal knocking on your door! 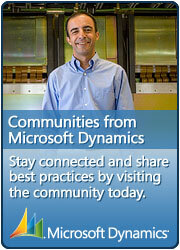 i need to ask you something about CRM Dynamics 2013 On Premise SP1. the managed solution is the parrot app downloaded from CRM App Store. the unmanaged solution is my solution with my customizations. the point is my solution needs some components of the managed solution, then i add these components to my unmanaged solution. but when i try to import my unmanaged solution(with components added from managed solution) to my CRM, the wizard tell’s me “hey bad guy you need a lot of components(components that i added from the managed solution) and your crm don’t have these components”. Have you imported the managed solution into the environment you are trying to import to. I found this question on MB2-703 demo book by Microsoft.Can you please explain the answer how B isn’t true and how D is…. B is true, unless maybe the managed solution has my default components in. You can export an unmanaged solution as a managed solution and then import it. How can I code for adding two numbers from two fields on LEAD form and putting result in third field on that same form in Dynamics CRM 2015 online? I am creating a plug-in and there is no function like (entity.setAttribute) but have a function (entity.getAttribute). So I am failing to put the result in third field. it depends on whether the plugin in a pre or post, are you using early bound code?? Quick question. I have recently assumed the position of a CRM customizer. I have found unmanaged solutions that were created by previous customizer but have no description for what they were created for. How can i find out what area or entity they impact? Go to the solution and open it. This will show you want entities are in the solution and customisations in the solution. If they have plugins you will need to find the projects with those in. I appreciate your quick response. Found out it has an entry on “Client Extensions” with the following description “XML data used to control the application navigation pane” Trying to find out what that is. Sorry, I’m responding to an old post, but I just came across a situation where the customer has multiple managed and unmanaged solutions in a single on-premise CRM instance. If they need to upgrade to a new instance, do you have any techniques for adding an “order of installation” note in the system? I want to re-create existing forms with the same layout but I don’t know what order the solutions were imported. 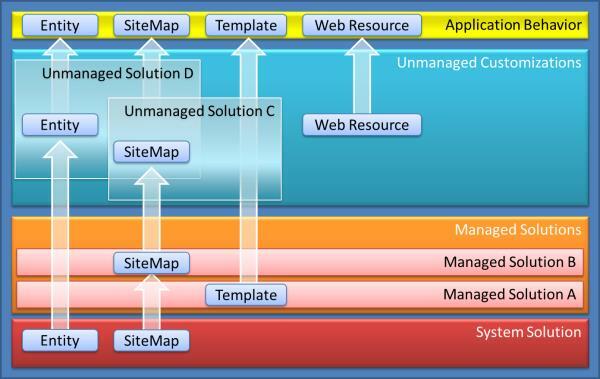 Can you describe the behavior of the managed solution layer with multiple ISVs? Suppose your CRM has Solution 1 where Account is still customizable according to its Managed Properties. You plan to import Solution 2 in which a system entity (i.e., Account) is completely uncustomizable by way of setting all Managed Property options to False. Does “Last one wins” apply to this scenario? Would Account be set to uncustomizable after the import of Solution 2? When you apply multiple solutions, common fields the last one will win. As the account is a default entity you cannot make it uncustomizable but the new fields in a solution would be uncustomizable. Previous person who was working here created a managed solution from our Dev environment and moved it to another sandbox environment that was allowing us to preview v.9. The problem was that it wouldn’t at the time allow for an unmanaged solution to be moved to the newer version. BUT here’s the problem – they continued to do their development in the default solution on top of the managed solution. But now everything from the base is locked up (things can’t be changed there are field compatibility issues). Is there a way to take the unmanaged components that were built in the new application and move them back to the original Dev instance and not lose any of the config that has been done?